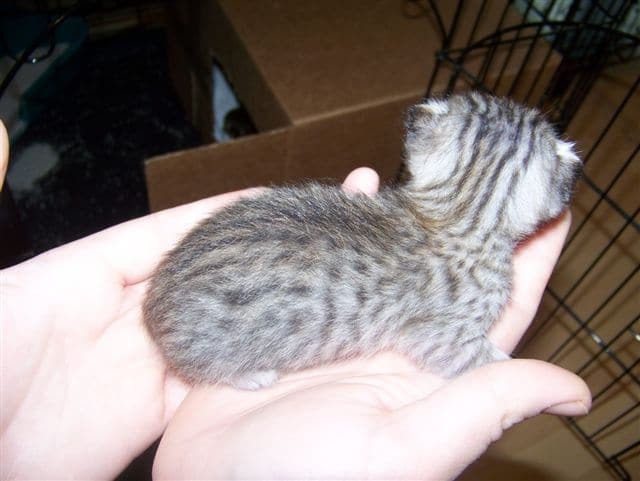 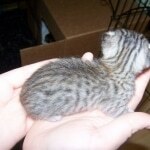 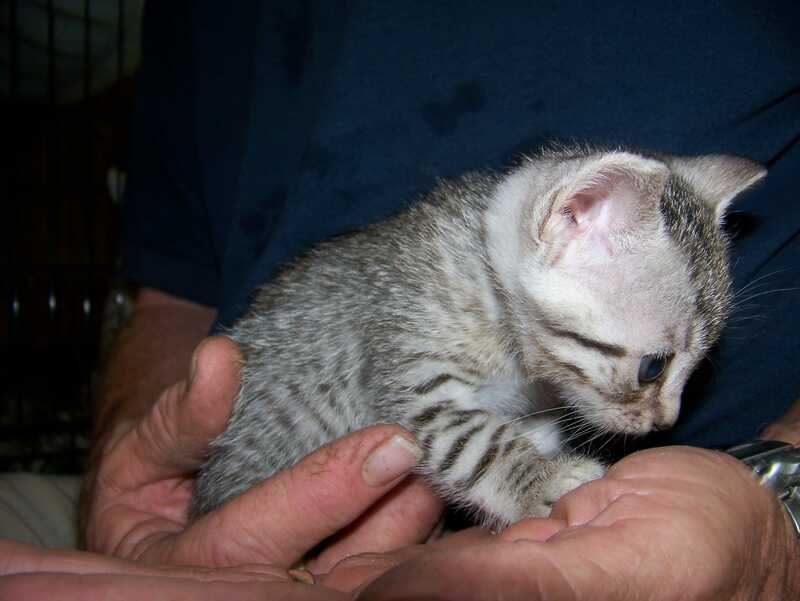 Zahra Isis, Silver Egyptian Mau female born 4/21/09 lives with Greg and Mary in TN but will soon be moving to FL. 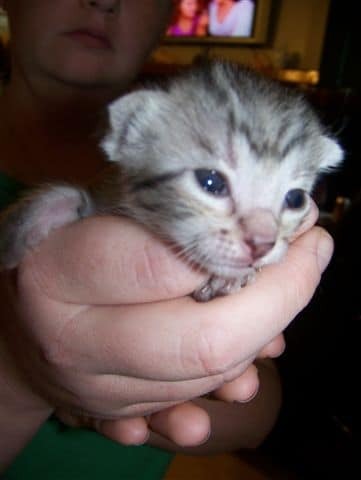 She is the most outgoing of kittens! 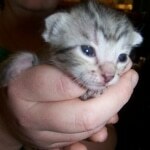 @ 11 days Gone to live with Mary and Greg in Tenn.